HiBRID™ is a fully testable and flexible system pre VPI, and a fully waterproof system post VPI. It guarantees the virtues that both VPI and resin rich technology offer, with the drawbacks of neither. Our experience showed inherent electrical failures occurred inside the slot of VPI machines, leaving a life expectancy of roughly 5 – 6 years, however, resin rich systems acted in reverse. The life expectancy was longer, but the failures occurred in the outhang (coil extension) rather than inside the slot. 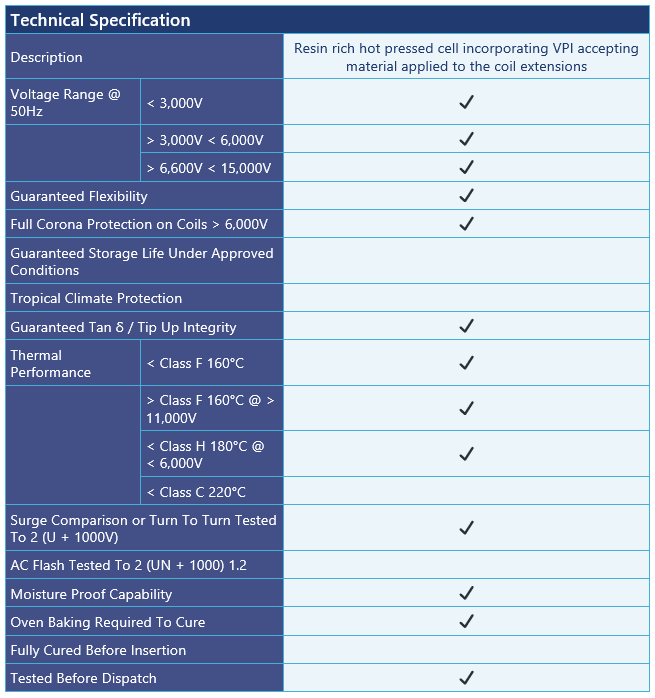 Unique insulation system combining the merits of Vacuum Pressure Impregnation (VPI) and resin rich technology.